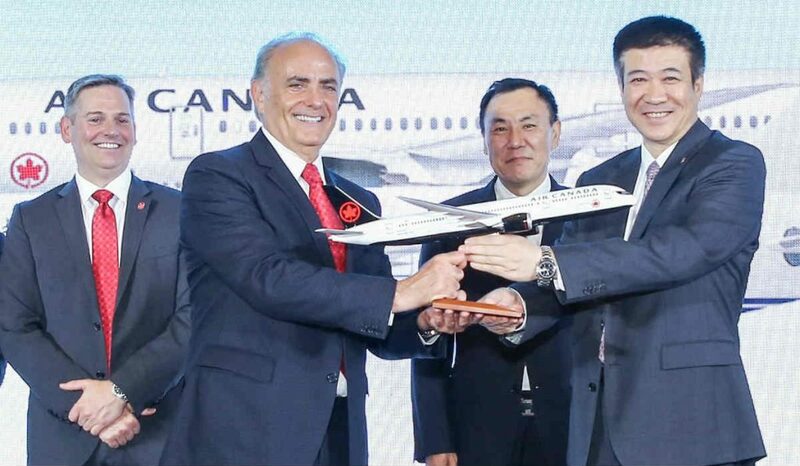 At a ceremony in Beijing on June 6, Air China and Air Canada signed the first joint venture agreement between a Chinese and North American airline, deepening the two carriers’ existing partnership. The joint venture will be phased in over the course of the next six months. The joint venture enables the two countries’ flag carriers and Star Alliance members to expand their existing codeshare relationship by increasing commercial cooperation on flights between Canada and China, and on key connecting domestic flights in both countries. As of December 31, 2017, Air China operated a fleet of 655 aircraft with an average age of 6.53 years. Passenger traffic routes have reached 420, including 101 international, 16 regional and 303 domestic routes.